We might have already had our new year celebrations, finished by 6pm! A meal with family, a little celebratory toast & some talk of resolutions. A real joy & pretty much all we can manage these days with small children. I hope whatever you do this evening/ night to celebrate you have a happy & joyful time. Also here’s to blessings for the resolutions you make. The start of a new year, although in the midst of the darkest season seems to give focus & magic to our goals & aspirations. I love giving Shiatsu & I hope that 2018 is a year full of it! To me Shiatsu is a special therapy that meets the client where they want to be met, bypassing the mind & giving space for the body to release tensions created by stress & distress. I love that it is a hands-on therapy, it uses massage techniques but describing it as massage isn’t accurate. The Shiatsu touch creates a secure & safe environment to explore & release deeply held concerns, emotions & traumas. So I hope 2018 gives me a chance to introduce Shiatsu to many new people, to support people achieve their goals & to release their stresses & strains. I have had comments from many clients about how Shiatsu has helped with their pain & physical issues. I have seen clients hobble into a treatment & leave standing tall & proud. I hope 2018 allows me to help clients manage their pain & discomfort. To relieve the symptoms but also to help with the mental strain, particularly of dealing with chronic pain. Personally I am hoping 2018 brings space for some further study to develop my Shiatsu practice, some escape time & maybe even the energy to have a later new years celebration next year! I’m presently on holiday, thank goodness as all my family have been poorly as well as it being Christmas, there’s been no time for work! It’s a busy & tiring time of year, cold dark days, we should be resting & hibernating not rushing around. The winter is a time of deep rest, of quiet evenings, of meditation & reflection. Not much of a chance of that right! I’m right there with you, it’s hard to find any space. There are things you can do to help reserve you energy over winter. Plus of course Shiatsu can really help at this time of year. It can improve energy levels. It can warm the kidneys & help with circulation. It can encourage deeper sleep & is deeply relaxing. All of these benefits can help get you through this time if year. I work in Exeter & Dawlish. I have spaces in both places in January. If you’d like to discuss if Shiatsu can help support you do get in touch. Best wishes to you all for rest & warmth at this time of year. I woke in the early hours of this morning with a start. For a long time Christmas had taken up all my brain power & now suddenly, in the middle of the night, I’d switched to thinking about the new year. Ideas spinning in my head about what I’d like to acheive in 2018, for myself & my family. The new year is a good opportunity to focus on the things that are important to us & on what we would like to acheive. It is not always easy to organise our thoughts, or to keep our initial focus & drive up. Our energy is often lower in the colder winter months & this can stop us keeping our goals in sight. Shiatsu massage sees symptoms like clarity of thought, lack of energy, inability to follow through with ideas, dis-organisation & tiredness as energetic imbalances. Shiatsu looks to balance the energies in the body & this can ease symptoms such as the above. I believe Shiatsu is the perfect support for clients looking to make changes in their lives. To help clients keep focus, drive & momentum. Shiatsu can help support stress & anxiety, which can hold us up. How do I feel today? Excited about the new year, determined to push through with my personal goals (although already a little apprehensive about keeping them up.) Yes I know better book myself a Shiatsu! I love giving Shiatsu so hoping there’s a lot of that in 2018. I offer Shiatsu in Exeter & Dawlish. I practice Shiatsu in a wooden cabin in the garden of our home in Exwick, Exeter, the natural wood is perfect for this form of therapy. I work in the lovely Changes Now in Dawlish. Both places are easy to get to by car, bus or train. Wishing you all a positive, happy & productive 2018. May your dreams be bright & beautiful & come true with splendour. It is the season to be stressed, isn’t it? There’s nothing like the festive season to bring out the stress. So much to do & so little time to do it. Stress & anxiety are by-products of our society. We have so much to do, we’ve forgotten to feel the seasons & just push through the cold winter months as if the days are long & the weather is ok! Shiatsu by-passes the analytical & allows the body to sense how it feels. The nervous system can be calmed by the strong connective touch of Shiatsu. There are no spaces before Christmas now but I am back in the new year. Starting in Exeter on the 3rd January & in Dawlish on the 10th. I have gift vouchers available for Christmas – & still just possible to get these sent out. You may like to like my Facebook page for infoon events & offers. Wow well the pressure & excitement of Christmas getting near, along with this cold weather, has left me & my family all under the weather. What I love about Shiatsu is that you can use it on yourself & your family. I have developed sinusitis but have managed to keep it at bay using a number of preasure points on the face. I have also developed a little Sciatica which I have eased completely with supportive work & stretches. My boys have been ‘bunged up’ & have struggled to sleep because of this. There are pressure points on the arm & hand which are really helpful in relieving this & has allowed us all to get some sleep! This time of year is stressful for most, me included. I have used relaxation points & points to stop the mind racing. I have used meditation & stretching to help support myself. I’m always happy to show how Shiatsu can be used in daily life on family & friends. I can do this has part of a normal treatment or arrange training. I am out of treatment spaces now for this year, in Exeter & Dawlish. I’m back in Exeter on 3rd January & Dawlish on 10th January. I’m getting lots of practice for my new qualification in Natural Face Lifts. I’m set up again tonight before more practice. The natural face lifts seem to have good results with the ladies I’ve practiced on all being very happy. It uses the Shiatsu points on the face & has I get more comfortable with the treatment I am melding the face lifts with Shiatsu. It’s an incredibly relaxing treatment, more than you would imagine, as just focussed on the face. It treats the whole body & creates deep rest, relaxation & calmness from face to feet! I am still looking for case studies through January for this – then from February I plan to charge full price. Do email me at amyhinkswright@yahoo.co.uk or call me on 07791 070837 to book. Shiatsu is a relaxing & deeply restful treatment. The 40 to 45 minute hands-on is a chance to simply lie & be. This in itself is restful & regenerating. 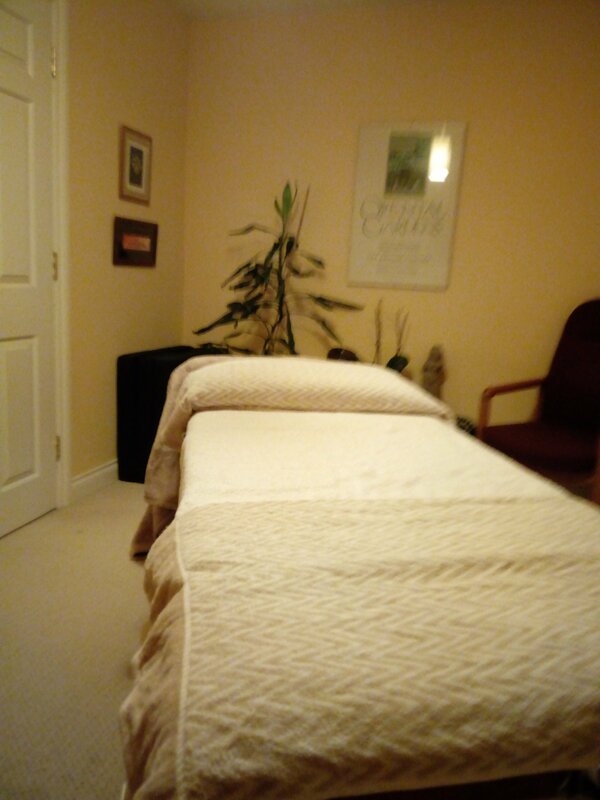 Shiatsu works on the meridians, lines of energy across the body, & the pressure points that Acupuncture & Acupressure. This supportive therapy looks to balance the energies across the body, meridians & pressure points. All of the above can relieve tiredness & help with exhaustion & fatigue. Not many spaces left now before Christmas but spaces in January in Exeter & Dawlish. Why not book now so you know it’s coming up.